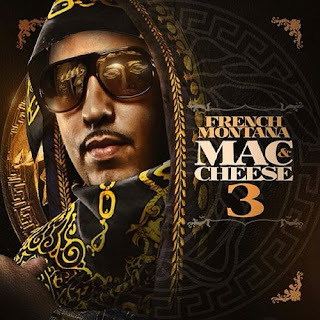 French Montana had a big year in hip hop with not only the tons of feature songs he was on, but his own solo material. No matter what you think of the guys music, he has been pretty hard to ignore in 2012 and before the year ends he released his Mac & Cheese 3 mixtape. You'll see names like J. Cole, Rick Ross, Mac Miller, Curren$y, Diddy, Mase, Future and Fabolous featured on here as well as production from Harry Fraud, Young Chop, Swizz Beatz, and more. This tape should be a nice entree to his main course, which will be his major label debut Excuse My French, out in the near future.